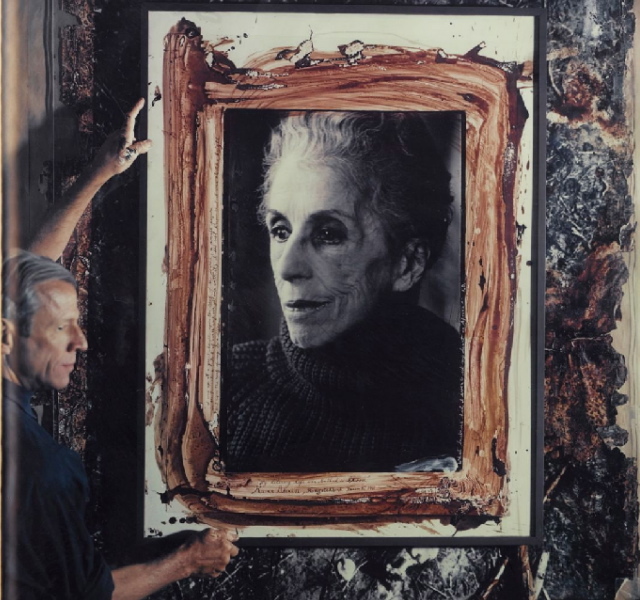 This oversized, embellished Polaroid of swashbuckling photographer Peter Beard holding one of his iconic portraits of Out of Africa author Karen Blixen is expected to fetch up to $14,000 at Sotheby’s Photographies sale in Paris on May 10. Also included in the auction is a Beard portrait of another old friend, Jackie Kennedy. This entry was posted in Icons and tagged auctions, authors, Karen Blixen, Out of Africa, Peter Beard, photographers, photography, Sotheby's. Bookmark the permalink.